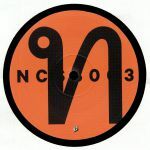 Review: Itchy tech house label NCSS returns with a trio of new artists all weaving their way into the top charts, and if the material is sounding this good then we're pretty sure we'll be hearing a lot more from them soon! 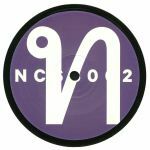 Newcomer Jhobei rolls through with "Do Milk", a creamy, synth-heavy house killer with a slap-up bass, followed by Casey Spillman's "Simply Focus", a freaky tech roller with all sorts of minimal nuances going off in its mix. On the flip, Jhobei returns with "Club Beige", an aqueous roller that sounds a little like the Cab Drivers, while Ben Balance's "Funk Tower" unleashes a dark, muddy bassline interlocked with subtle bursts of sc-fi goodness.